Global smartphone maker, Oppo, is increasing its Australian presence by inking an agreement with mobile network operator, TeleChoice. As per the agreement, Oppo’s R7, R7 Plus and Mirror 5s handsets will be available through TeleChoice’s stores across Australia and its online store. 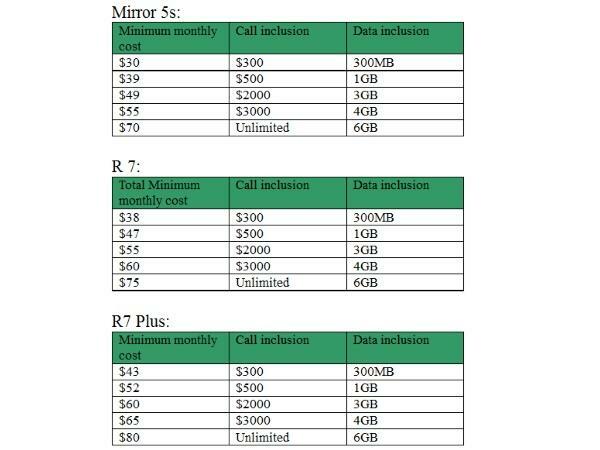 Customers will be able to purchase OPPO’s handsets from TeleChoice on a variety of mobile plans, starting from $30 per month for the Mirror 5s. The R7 and the R7 Plus will also be available on TeleChoice plans. Oppo Mobile Australia marketing director, Michael Tran, said the plans were designed to give customers the inclusions they want at a price they can afford. “We’re excited to be partnering with TeleChoice to offer customers even greater access to our most popular devices including our latest device, the R7 Plus. By having the phones in-store, TeleChoice customers can get hands-on with the products and experience for themselves, the innovation and quality craftsmanship at the heart of all our devices,” he said. TeleChoice managing director, Paul Reeves, said customers want the latest products at a price that isn’t going to break the bank. TeleChoice customers that purchase any Oppo handset as part of a mobile plan will also receive a Gift with Purchase from TeleChoice. The Mirror 5s comes with a shell case valued at $29, the R7 comes with a 1300mAh Powerbank valued at $49, while the R7 Plus comes with a VOOC Powerbank valued at $79.